Making VR and AR contents accessible to everyday consumers by creating a new platform. Commissioned by a California based startup Quantum Bakery, we created a new consumer platform that makes Virtual Reality contents accessible to everyone. 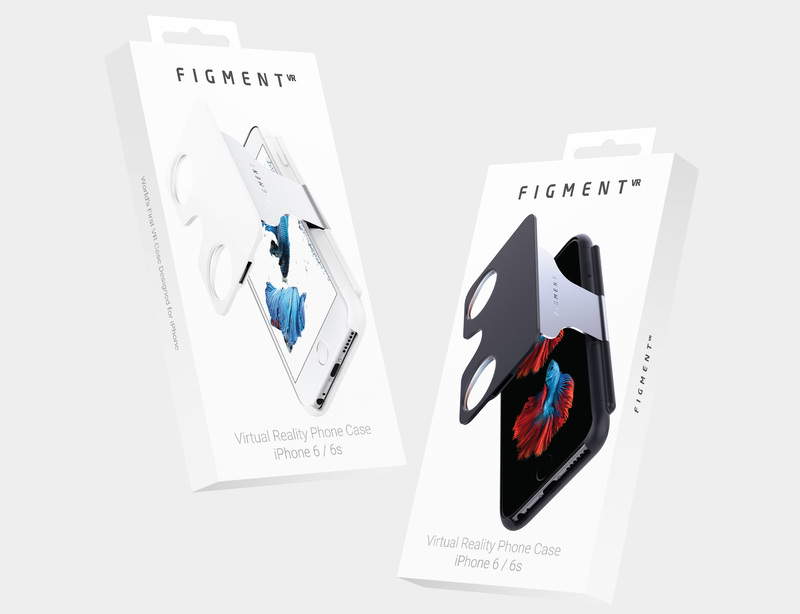 Figment is a portable VR(virtual reality) and AR(augmented reality) viewer hidden in a compact form of a phone case. 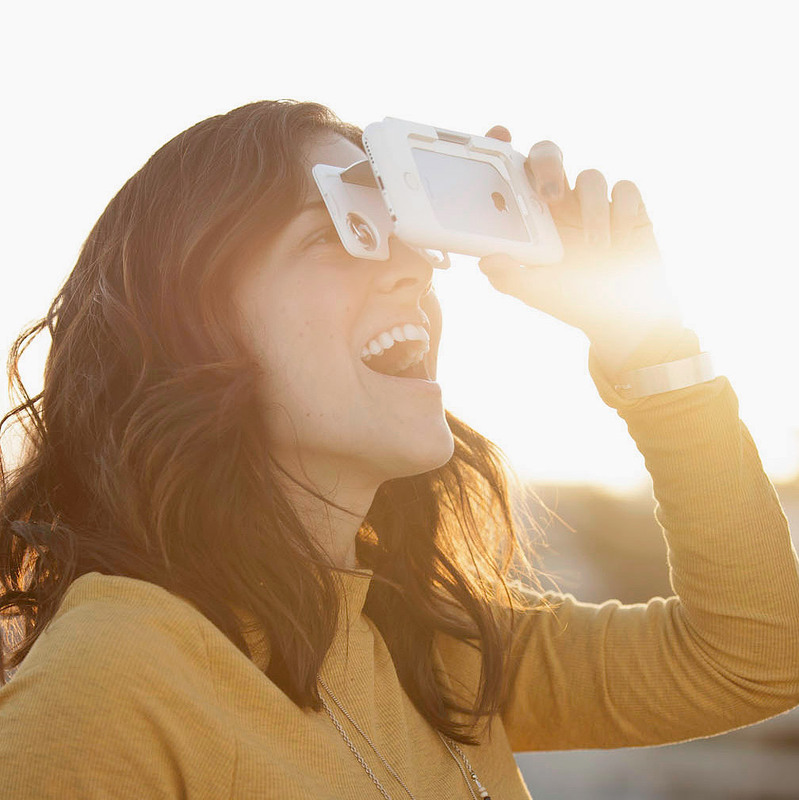 Using its carefully developed folding spring mechanism, Figment grounds the mystery of VR and AR by allowing everyday consumers to easily view and share the experience, just like sharing any other digital content like photos and videos. The fundamental nature of a phone case is that it should conform to the phone itself. The main challenge was finding a design language that contains a unique personality, and at the same time, quiet conformity. 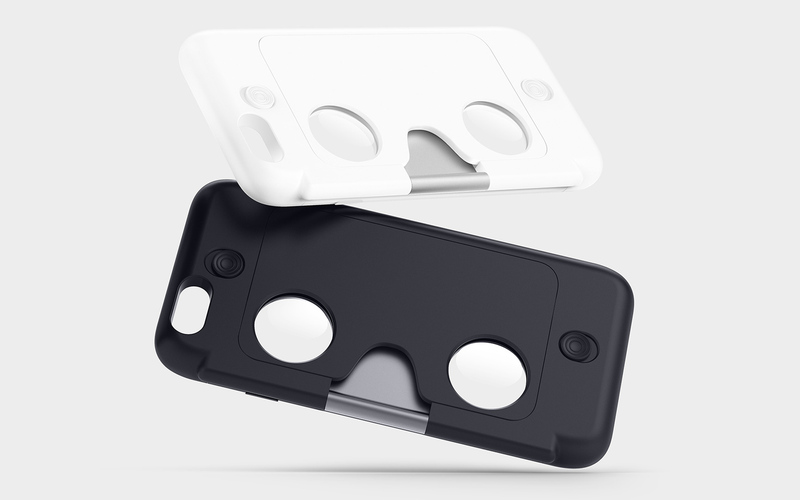 Figment hides the VR viewer at the back of the case using a specially developed spring mechanism. In this state, the case remains quiet. When the viewer is released, it reveals its true form. Becoming one with the phone while retaining its own personality. Figment's design is tailored to the phone it protects. The curvature of the case is identical to the phone itself. This retains the original tactile experience, along with its discreet profile. The color, material, and finish are all harmonious to the phone. Use of extremely durable and soft silicon and high grade anodized aluminum amplify the premium feel of the phone. By sliding the accident-proof switch buttons on the back, the viewing window unfolds over to the front of the phone's display in a single sweeping motion through Figment's special spring mechanism. To close, the user simply retracts the viewer and the push lock does the rest with a satisfying click. Also, Figment is designed to allow users to have full access to the smartphone display, unlike Google Cardboard. This opens up possibilities of directly interacting with VR and AR content. One hundred prototypes for one finely-tuned product. Realizing this unique mechanism wasn't easy. Satisfying the functional requirements both as a phone case, and a VR/AR viewing device needed careful experimentations with adaptations of dampened springs and push-lock mechanisms through constant prototyping. The requirements for an immersive experience are very specific, and therefore, we had to calibrate every part's position in the scale of less than a millimeter. The process involved just over one hundred 3D printed prototype parts in collaboration with Studio Fathom, a Stratasys 3D printing specialized company. 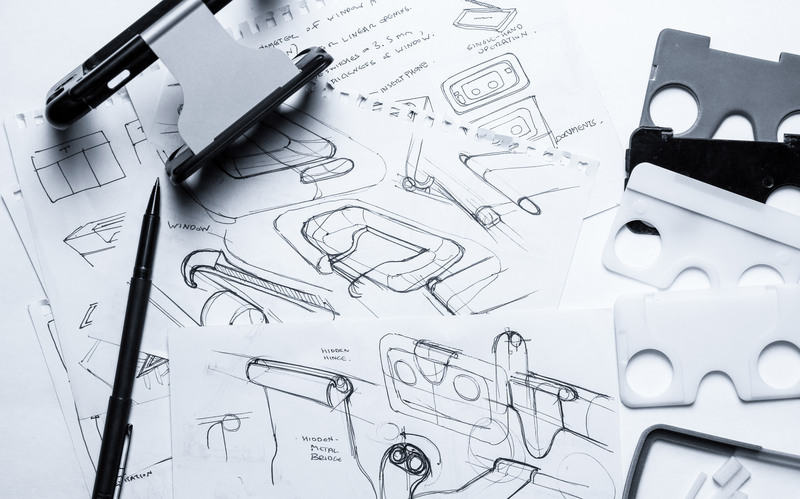 After a successful crowdfunding campaign on Kickstarter, it underwent final stages of product development with PCH, hardware accelerator based in California and Shenzhen for manufacturing. Distilling a sense of futuristic confidence in Figment’s identity and collaterals. Developing the product’s visual identity together with the product design in parallel allows the product to have a clearly unique characteristic that is cohesive in all of its touch points. 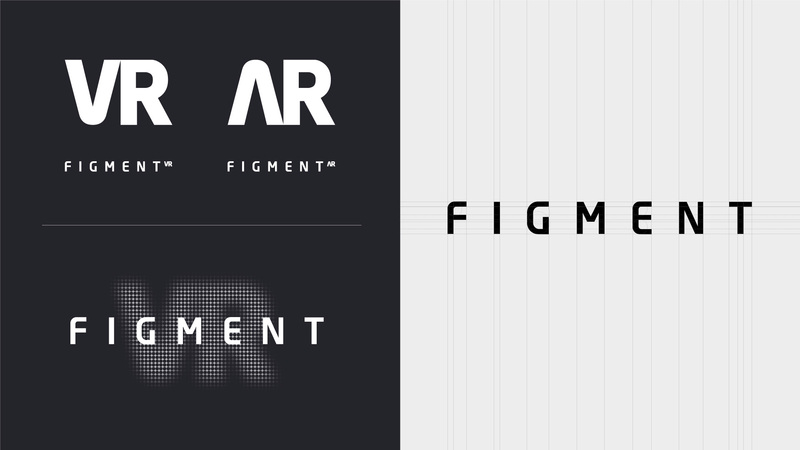 We developed Figment’s product logo, marketing imagery, product packaging, and commercial 3D animation. The core identity of conforming to the phone it protects remains true in Figment’s visual identity. We wanted Figment to blend into the phone’s original identity but at the same time, have just a bit of unique personality that would make it stand out. The logotype is bold, confident, and precise. It is reassuring and futuristic at the same time. Further explorations were done on creating graphic elements and defining visual identity guidelines that covered marketing graphics usages and art direction for Figment’s advertising contents.